If you visit Hanoi Vietnam and want to buy anything as souvenir, you should buy one of 11 things that is mentioned in this article. On the major newspapers of Vietnamese, I’ve read hundreds of articles saying that souvenirs and crafts of Hanoi (as well as Vietnam) for foreign tourists is still few and not interesting. There are very experience items of which prices up to $100 – $150 but some items are only 1 - 2 USD. Perhaps you’ve researched about Ao dai or traditional costumes of Vietnamese. I want to mention about “traditional product” because Ao dai has only in Vietnam and shows Vietnamese style (Although I know that your country also may have traditional long dress). And if you don’t know more about Vietnamese traditional long dress, you can read the article about “Ao dai”. 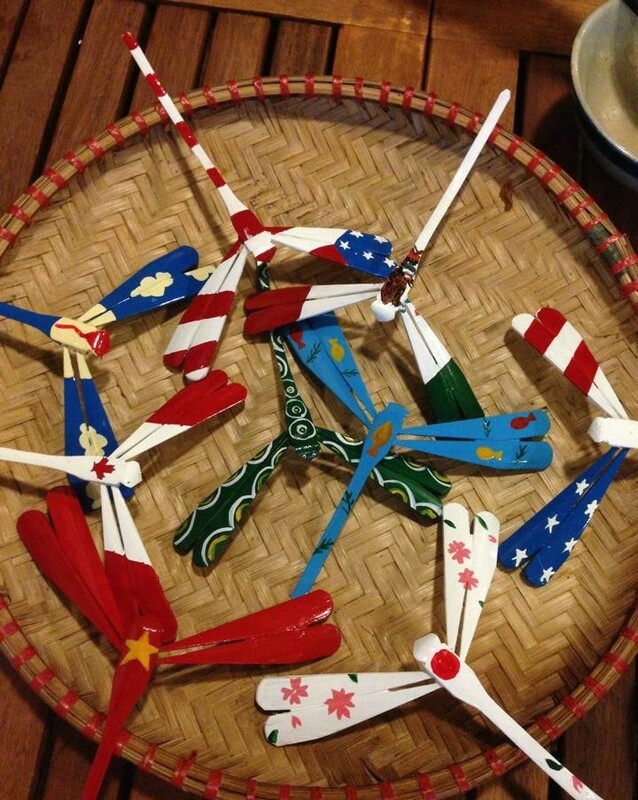 Paper fan is a popular and familiar in the culture and the daily life of Vietnamese people. 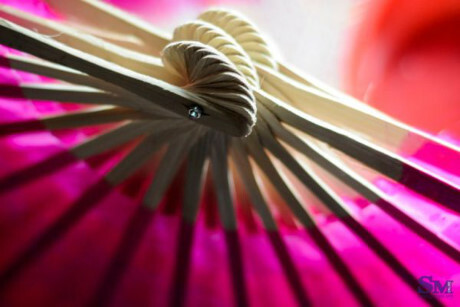 You can see handheld fan in beautiful Vietnamese traditional dances or one with calligraphy inscription of master which remind of Confucianism Vietnam as well as paper fan is tool used to induce cool breeze. So it captivates many visitors when looking for a peaceful space, simplicity, rustic villages and learning about the unique culture of Vietnam. 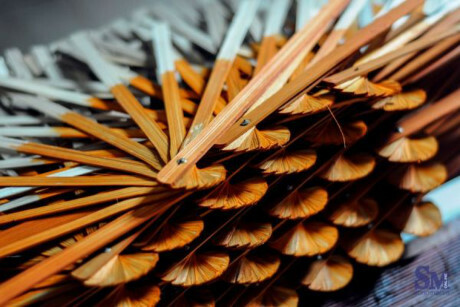 Currently, there is a village in Thach That district, that is situated in the west of Hanoi, about 20 kilometers from Hanoi center (Hanoi Turtle Tower), specialized in making this type of paper fans to sell to tourists. Ao dai usually comes with a conical hat so if you buy Ao dai, you also should buy a conical hat to synchronize. Because Ao dai and conical hat are symbols of Vietnamese women as well as Vietnam’s beauty. 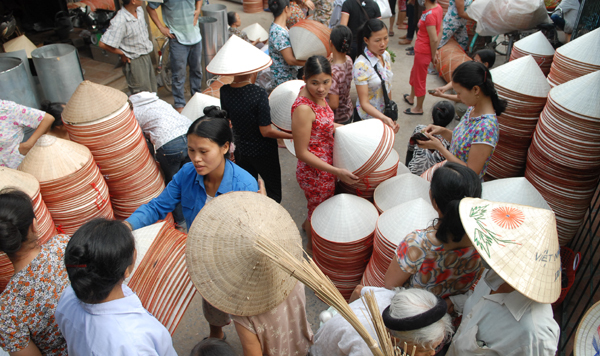 The conical hat of Vietnam has first appeared since the mid 13th century. Conical hats and Vietnamese people especially farmers have sticked together from past to present. The conical hat is used primarily to protect you from the sunshine and the rain. In addition it also shows the charm of Vietnamese women when combined with traditional dresses such as Ao dai, ao ba ba... And some places to buy them are Hang Trong, Hang Gai Street… in Hanoi. 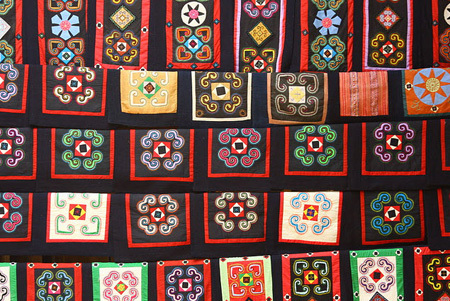 Handicraft is a popular souvenir in any coutry as well as in Vietnam. 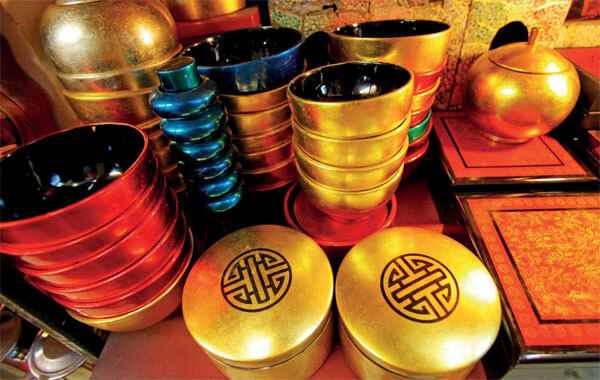 There is a huge variety of special handicrafts in Hanoi. 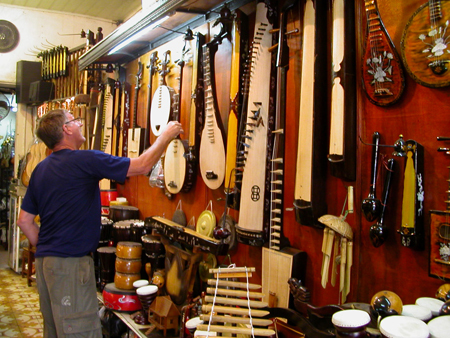 So you can go to souvenirs shops at Ly Quoc Su, Hang Gai, Hang Bong, Nha Tho Street.. to buy lacquer, bamboo and rattan products. The price is only 3-10 USD per item. If you can go to the tourist areas such as Sapa - Lao Cai, Dong Van- Ha Giang, you should buy brocades at this places instead of buying in Hanoi. Because the brocade bag’s price at Hang Trong, Hang Bac, Ma May, Ta Hien street in Hanoi is double one at which they are made. Brocades include clothes, scarves, towels and bags which is woven from a cotton thread in the high mounntains. Seashell souvenirs made by skillful Vietnamese artists is also a good choice for tousists when travelling to Hanoi. Bamboo is the plant that characteristic of the Northern villages of Vietnam. 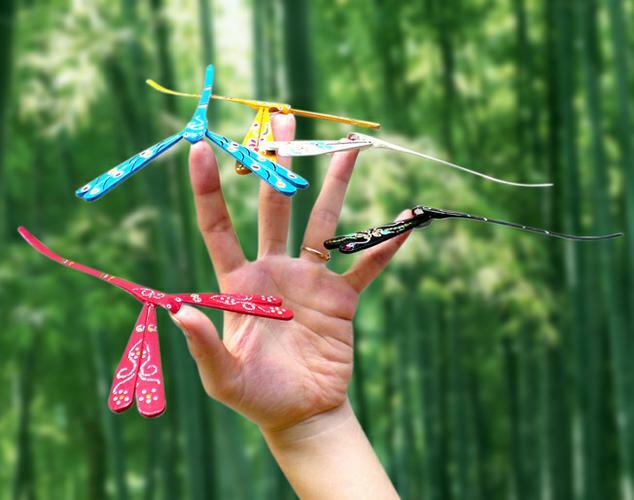 And dragonfly is a type of flying insects, it’s nimble, cute and appears only in the summer. 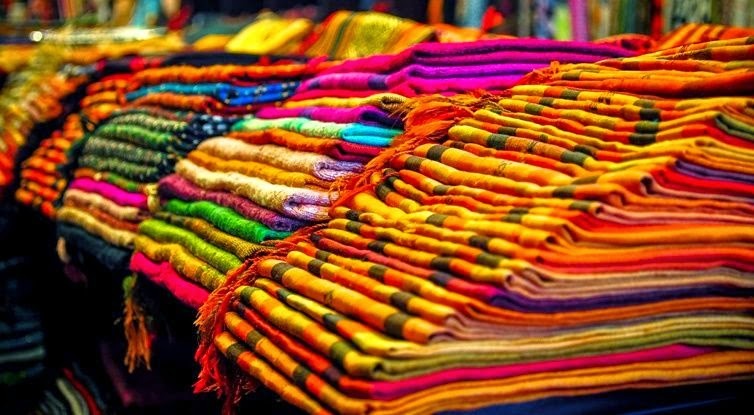 Along with traditional Ao dai, tourist can’t miss other unique Vietnamese silks such as scarfs, clothes, handbags... when visiting Hanoi. Van Phuc village is known as making the best silk in Vietnam. The types of Vietnamese silk are different from other silks in Shang Hai, Hong Kong or Guangzhou in China. If you love art paintings, you immediately buy one piece because you probably don’t find anywhere having paintings made from sands as in Vietnam (see pictures in this article). 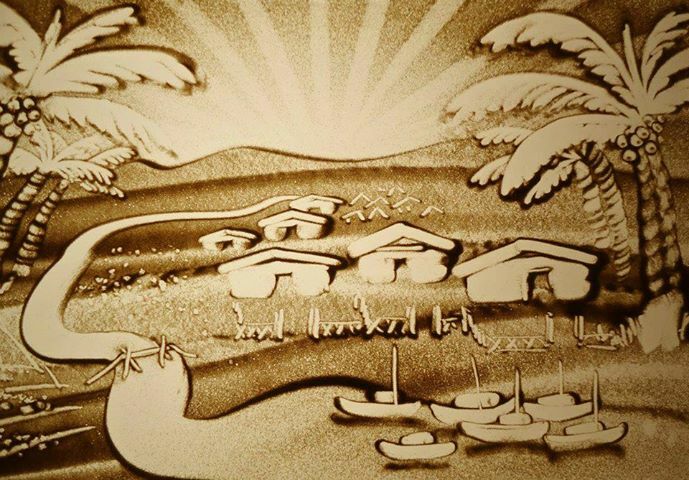 If you can’t buy a sand painting, you should buy an oil painting of the famous painters in Hanoi which are exhibited in private galleries at Ly Quoc Su, Hang Gai, Hang Trong, Le Thai To street or at the large-scale exhibition on Ngo Quyen, Trang Tien and Hang Bai Street. However, you should buy Vietnam lacquer picture of which price is very expensive but it is only in Vietnam. I believe that you’ve researched about this type of painting made from special paints and eggshells, can exits for hundreds of years as lasting as oil painting. 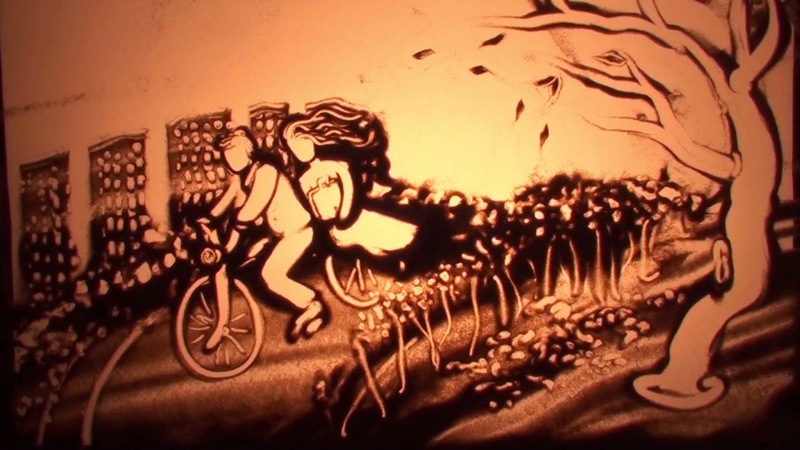 If you want to have cheaper paintings, you can buy Hang Trong and Dong Ho folk woodcut paintings which are traditional paintings, are printed on a special kind of Dzo paper. And it is specific to the ancient Vietnamese art.